Bridal bouquets are more than a pretty accessory. These signature statements can bring sentiment and significance to the walk down the aisle. The above arrangement was created by my dear friend Heather with Evergreen Flower, Co. The wise bride knows that while it is her special day with her one and only beau, a wedding is about many others as well! Incorporate family members, a favorite grandmother, special aunt, lost loved one, or close friend. The bridal bouquet can be an arrangement fashioned with their favorite color(s) or flower. An expert florist can help navigate the proper shape, size and style, but it can be heartwarming to have your loved ones honored in this gentle and endearing way. Sweet memories can be incorporated into the bouquet. Such an intentional act will create a lasting bond and point of affection for the two of you. Take the time to find a way and include this in the story that your guests are privileged to hear. Diamonds, pearls, netting, hand-sewn grass weaves, ribbon and twigs are only a few of the items that can be incorporated into the bridal bouquet. Tradition has its place, but the bridal bouquet is still an extension and accessory of the bride. 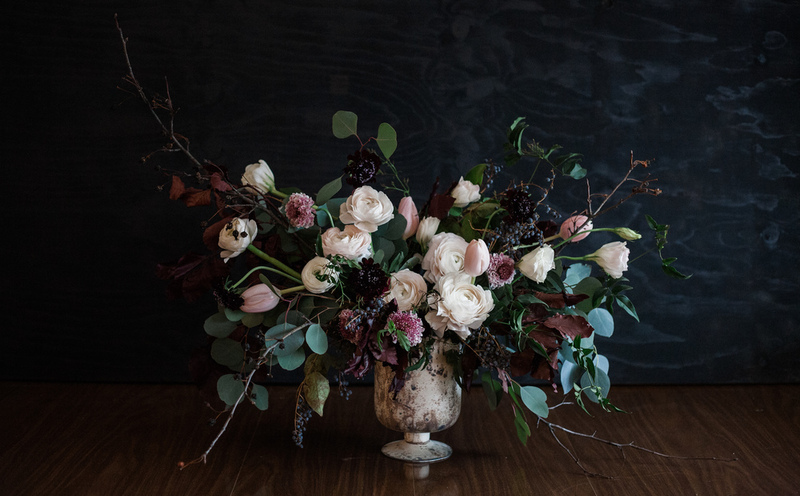 If formal bouquets come across as drab and dreary, find a way to sculpt something unique that you will be proud to carry. A trendy, local bridal boutique should be able to help. Hanging a floral wreath on your front door could not be more sentimental . . . when the flowers are from your wedding bouquet! Designate a trustworthy, artistic and crafty individual who can design a bouquet that you can use and reuse by way of house decor. You will be happy to have it every time you bring it back out. Please note: the trusted individual will require plenty of advance prep time. Further, they should realistically only be tasked with this one wedding day job.